Gerard M. Anderson is chairman and chief executive officer of DTE Energy (NYSE:DTE), a Detroit‐ based diversified energy company involved in the development and management of energy‐related businesses and services nationwide. 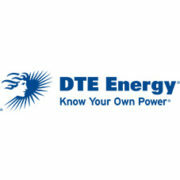 DTE Energy’s operating units include an electric utility serving 2.1 million customers in Southeastern Michigan and a natural gas utility serving 1.2 million customers in Michigan. The DTE Energy portfolio also includes non‐utility energy businesses focused on power and industrial projects, natural gas pipelines, gathering and storage, and energy marketing and trading. As one of Michigan’s leading corporate citizens, DTE Energy is a force for growth and prosperity in the 450 Michigan communities it serves in a variety of ways, including philanthropy, volunteerism and economic progress. 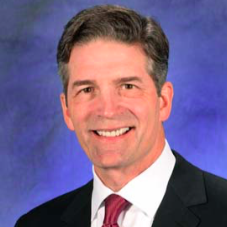 Anderson joined DTE Energy as vice president of non‐utility business in 1993 and has held various senior executive leadership roles throughout the enterprise. In 2004, he was named president of DTE Energy and assumed the responsibilities of chief operating officer in 2005. He has been the architect and leader of the company’s strategy to focus on cost and operational excellence in the utility business and develop its non‐regulated businesses. Anderson was named CEO of DTE Energy in 2010 and chairman in 2011. Prior to joining DTE Energy, Anderson was a senior consultant at McKinsey & Co., an international management consulting firm, from 1988 to 1993, with a focus on the energy sector and financial institutions. In the mid 1980’s, he was employed with an economic forecasting group, The Research Seminar in Quantitative Economics, and the U.S. Congressional Budget Office. Anderson also worked at R.T.K.L Associates, Inc. and The Collaborative, Inc., serving as an engineer and project manager from 1981 to 1985. Anderson earned a bachelor of science degree in civil engineering at the University of Notre Dame. He also earned a master of business administration degree and a master of public policy degree from the University of Michigan. Anderson is the chairman of the EEI Committee on Environment. He is a member of the board of directors of The Andersons, a diversified public company focused on agricultural markets. He also is involved in various local community and civic activities, serving on the boards of trustees of The Nature Conservancy (Michigan chapter); The Henry Ford, the McGregor Fund, Business Leaders for Michigan, the Community Foundation for Southeast Michigan, the Downtown Detroit Partnership, and the West Michigan Policy Forum.